As a post-apocalyptic novel that deals with one man’s attempt to make sense of himself and the world he’s now living in, The Dog Stars owes a lot to Cormac McCarthy’s The Road. It’s a much more optimistic take on the theme, and I suppose more introspective, but at the same time it manages to be less compelling. 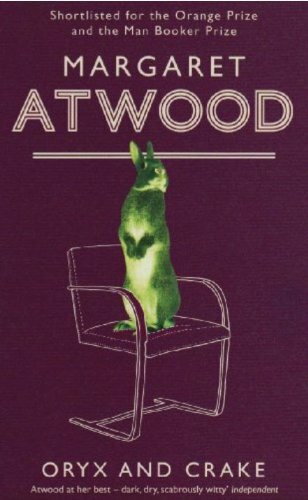 I’ve been meaning to read one of Margaret Atwood’s books for years. Actually, thinking about who it was that was originally recommended her to me, it’s probably the better part of a decade, or round about the time that Oryx and Crake was published. Despite this intention, I don’t think I really knew anything about her fiction, aside from a vague idea that it may reside vaguely within the science fiction genre. Someone knocked back, and they all fled. 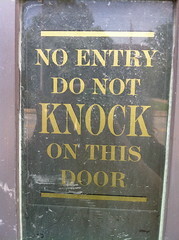 Unable to sleep, she went back to knock again. ‘Hello?’ she said, squinting into the light. ‘Hello,’ she said, stepping out of the light. 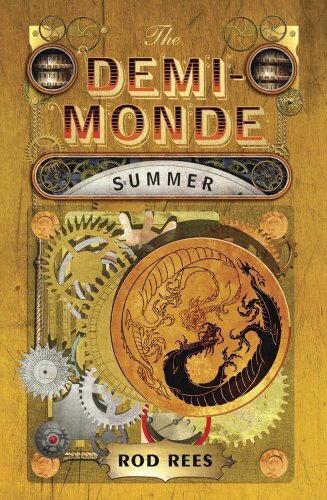 I can’t think of a book, or series of books, that I hate more than Rod Rees’ Demi-Monde. 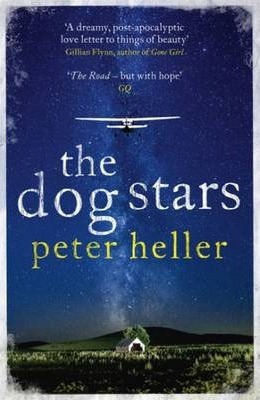 The writing style is juvenile, the characterisation appalling, the story a smug, convoluted mess, and frankly anyone that writes half their characters with ridiculously exaggerated, borderline racist, phonetic accents, should be too ashamed of themselves to publish their book. The problem is that the first book wasn’t so bad. The writing style, characterisation, and accents were still bad (though the latter was more tempered than in the following two books), but the plot seemed fairly like a straightforward post-cyberpunk adventure. The basic plotline is that the US army have created a hellish computer synthesised reality to train their soldiers in urban guerilla warfare against, for no real reason, the most evil human beings in history. The president’s daughter somehow jacks into this matrix, and get stuck. The heroine is sent to get her out before everything goes to hell. Seems like a good enough story, right? The cosmology and society within the simulation is a bit weird, but it kind of makes sense in context. A little bit. Anyway, so while reading the first book, I got so caught up in the world that by the time I got to the end, I was hooked. Then I read the second, which was worse, what with the development of the universe, and worst of all the revelation of the vampires. Yes, Vampires. Except they’re not really vampires, and they’re not just in the simulation, they’re in the real world. Oh, and the whole simulation is run by them, rather than the US Army who just think they’re in charge. The third book is so bad it’s practically insulting to read it. There are occasional moments of good storytelling and empathy, but in general it’s just a series of events that lead from one thing to another with no sense of smooth progression. Oh, and the final straw was, when the bizarre cosmology Rees has created, is revealed to include an anciently genetically engineered sub-species known as the “Kohanim”, who over time, became the Jews. I was all prepared to give up with the series once I’d finished the book, but unfortunately the last couple of chapters, once the action began again and we stepped away from the absurd pseudo-philosophy, dragged me back in, ending with a hell of a cliffhanger. Which means I’m going to have read the final book in the series. But seriously. Don’t put yourself through the misery of reading this series. It’s not worth it. This year is the 50th Anniversary of Doctor Who, and as you’d expect, the BBC is going a little overboard on the tie-in products. One of the better ranges are a newly (re-)published series of books, one for each of the eleven Doctors. The First Doctor is one of my favourites, so after two hours spent wandering round Waterstone’s flagship branch in Piccadilly on a recent trip to London, this was the one I decided to start with. The author, in his introduction, describes the book as “Agatha Christie combined with Starship Troopers”, and the plotline is at its essence the locked room mystery along the lines of And Then There Were None… (original title Ten Little Indians, you see!). There are a lot of extra sci-fi like bits and pieces added on, including a frankly baffling “Choose Your Own Adventure” sequence that pretty much puts a damper on the last third of the book, but really, it’s the mystery that’s fuelling the plot, not the trappings. It is an enjoyable story (aside from the experiment mentioned above), and the author has managed to get the character of the Doctor right (not always easy), but almost all the other characters are forgettably generic and clichéd Space Marine archetypes. Fine while you’re reading, but with no lasting impact beyond the plotline. They all have their gimmicks, (including some frankly bizarre twists), but only one or two of them are really well-rounded characters. Which leads me onto my other main complaint. I was disappointed with the portrayal of the companions. The two chosen aren’t ones I’m particularly keen on, and to be fair, they were never particularly well-developed in the original episodes, but Cole seems to focus in one part of their personality and forget about all the other aspects that are needed to make an engaging character. Ten Little Aliens, would easily have fit into the original show as an above-average serial, though it’s quite distinct from anything the First Doctor ever did. (Sorry, I’m being a little too geeky here, I know!) 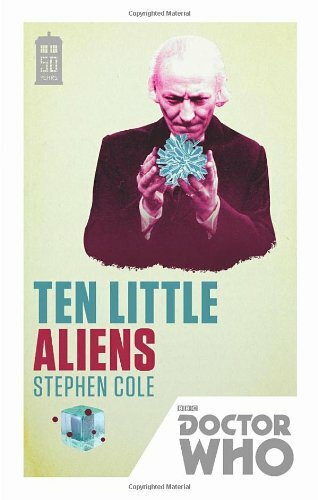 It’s not a great book in and of itself however, and wouldn’t work as an introduction to the universe, but I enjoyed it and if you’re familiar with the show, but have never experienced the First Doctor, it’s far from the worst introduction you could choose. As with The Teleportation Accident, I picked up this books because it was featured on a display table in my local Blackwells’. 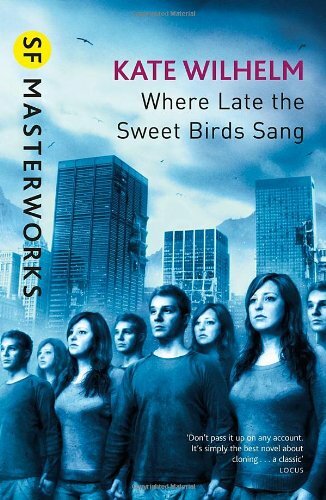 This time, it was a collection of the SF Masterworks series. What stuck out most about the book was the fact it was written by a female author, something that I’ve found disappointingly lacking in Science Fiction. At the start of the book, global society is collapsing, and humanity is on the brink of extinction, and only one (inexplicably) wealthy and scientifically knowledgeable family have the foresight to see a possibility for survival. Now, if it wasn’t for the fact the blurb and the cover gave away the twist, I don’t know how long it would have taken me to work out that it was Cloning, because they’re already quite far through the scheme before it become evident what they’re doing. It’s never referred to openly, and is introduced first as simply a way of providing food in a world where everything is becoming sterile; it could technically just be a form of IVF or any number of other things. There is a little but of moralising, but in comparison to what you might expect, it’s actually treated as being a necessity that isn’t up for debate. What’s most exciting about the story however is the fact that the second section takes place long after the “real humans” have all died, and instead focuses on the society the clones have set up, and their own attempts at surviving. There’s a lot of outright rejection of the past, and a bit of murkiness in regard to those few people who are still “born”, but at the heart, it’s frighteningly similar to societies constructed in many other dystopian novels: no real independent thought, community over the individual, and many similar tropes. There’s plenty more I could say about it, but I’d rather leave it at that and let people decide from themselves. What I will say is that I found the end rather disheartening. It was quite predictable, and while the specifics were interesting, it did feel much like an outright rejection of transhumanism and embracing of human nature. Is that worth criticising? Probably not, but I still felt let down, considering how much I liked the rest of the book. e second title in his bibliography that I’ve read. The only other thing, the short story of the same title that this book is based on, I read about two years ago and promptly fell in love with. 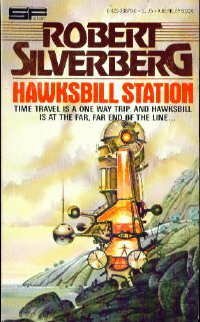 Hawksbill Station, is what One Day in the Life of Ivan Denisovich would have been if Solzhenitsyn had been into speculative fiction. In common with Radio Free Albemuth, the catalyst for the plot is a conservative take over of the US Government. This government, which is too benign to muddy its hands with capital punishment, has harnessed the power of time-travel to send its most dangerous opponents back to the Precambrian Era and leaving them to their own devices. The protagonist, Jim Barrett, is the undisputed king of the station and a former counter-revolutionary leader. While there is a lengthy back story for Barrett (the only real change from the original short story) which details his life before the Station, this could be interchanged with almost any 1960s pulp conspiracy story. Instead it is the “Present Day” story which depicts the struggles of isolation in a novel setting that makes this worth reading. As the story opens, Barrett is suffering from a crippling leg injury, chronically aware of the fact all of his old comrades are either dead or insane, and despairing of his mortality. As a character study and exploration on a theme, its one of the most effective I’ve ever read, and the time travel element is mostly just a framing device for this. While it is, obviously, Science Fiction, the way time travel is treated, it could just as easily be the Trans-Siberian Railway, or a boat that takes the men to Antarctica, as it’s only role is as a way of facilitating the characters isolation. To be honest, the secondary plot doesn’t add much to the story other than context, and I while there are a few variations on the theme, it’s by and large generic stuff, which is the only thing keeping this from being a 5/5. At a push, I’d recommend seeking out the short story over the full novel, just because it’s better paced, but this was still a good read, and both quick and easy for a lazy afternoon.